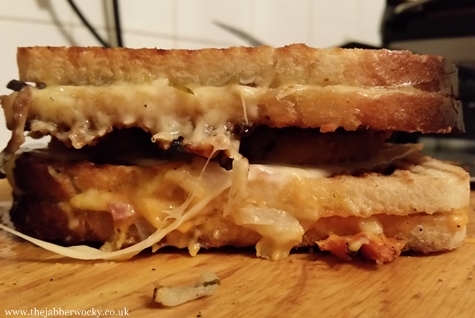 There had to be a new, filthy triple-decker at some point this month, and while the Full Monty is magnificent in it’s breakfastness, it is not an all day toastie. It follows then that we save the most obscene for last. 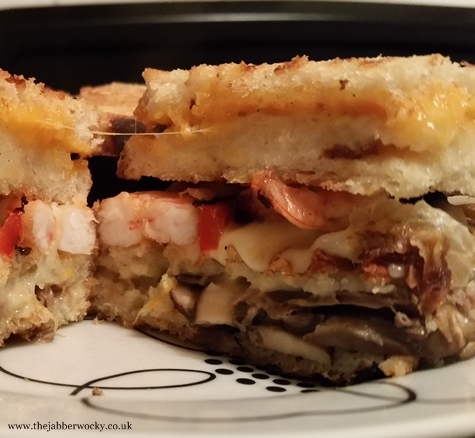 If you can make a surf and turf toastie work, I think we have a fair shot at making anything delicious. There is a hitch though. 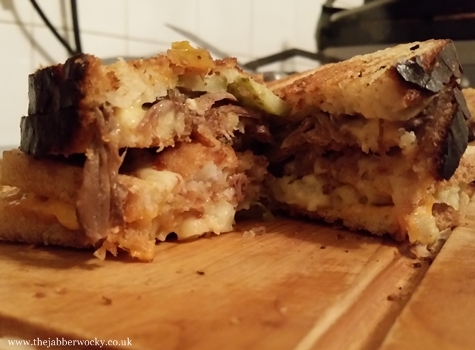 The surf and turf toastie is currently only an idea, and won’t actually be tasted until tonight. 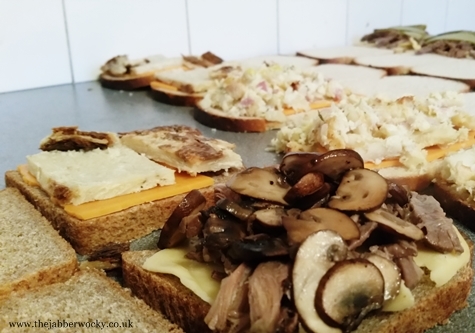 Tonight we are having a customary toastie tasting, where we drag our usual crowd of obliging guinea pigs over, feed them toasties and ask for insight. 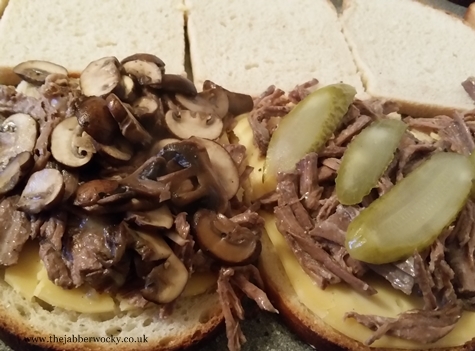 This makes a write-up reasonably tricky, because if at all possible I’d rather avoid a toastie based lunch, seeing as we’re having a toastie banquet later. Edit from 2/2/15: A whole day of food coma followed, and I didn’t even eat that much. 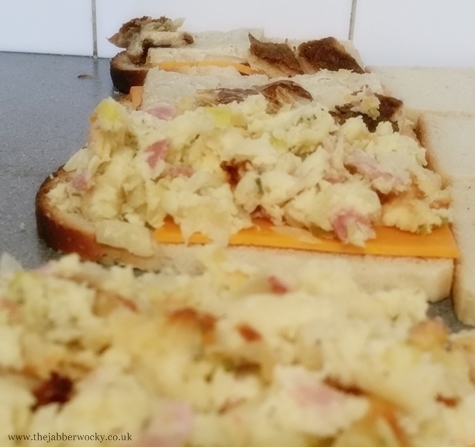 Once we surfaced and had surveyed the wreckage of the kitchen it was time to think back to that final toastie and tell you what it was like. 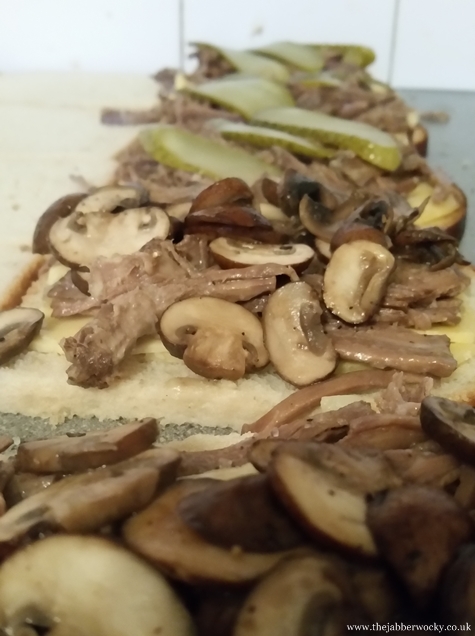 There are a lot of bits to this one, not least a good few hours of braising to tackle before you can start to build your toastie. Rated for the adventurous only. So that was toastuary 2015. I hope we go out on a bang. Tune in next week for graphs, data and summaries. Just in case you missed it, here is the whole month, one more glorious, cheesy time.